As Chief Justice of the Common Pleas in England, Coke seized the opportunity to let the law protect the rights of the common man. This was during a time when the monarch was obsessed with the theory of “Divine Right” of royal authority.If there is one man in history who personifies the principles upon which Delta Chi was to be built, that man would be Sir Edward Coke (pronounced “Cook”). His long life encompassed the reigns of Edward VI, Mary Tudor, Elizabeth I, James I, and almost half the reign of Charles I. This period of history was crucial to the development of the basic individual rights that we cherish so much today. Coke’s idealism towards justice and the law formed the guiding principles of Delta Chi when it was founded as a law fraternity. Even now as a social fraternity, Delta Chi continues to cherish and honor these principles. 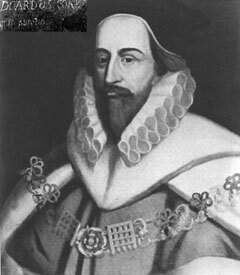 More information about Sir Edward Coke is available here. Kettering University is a four and a half year engineering and technical science university. The school was privately funded by the General Motors corporation from 1926 until 1982. During this time, the school and company worked together to train future GM engineers. One of the cornerstones of this education was a co-operative employment rotation. Students would switch between traditional coursework and on the job training. Since disaffiliating with General Motors, Kettering University has kept the tradition of co-operative employment and expanded the number of companies it works with. This work experience is required to graduate from the university. The student body of Kettering University is separated into two groups: A-section and B-section. A-section students are in school during the months of January, February, March, July, August, and September. They work co-operatively with their employers during the other six months. B-section students are the exact opposite. At any given time, only half of the students are on campus (the other half are working). It is quite possible to never meet fellow students from the other section. Visit the Kettering University website to learn more about the co-operative education program. When Delta Chi colonization at Kettering started, it was decided that having two unique chapters was the best way to establish a presence on campus. The chapters share an ABT (Alumni Board of Trustees) and Housing Corporation but have unique officers and by-laws. Additionally, the chapters also share the chapter house, ensuring that it is continuously occupied year-round. 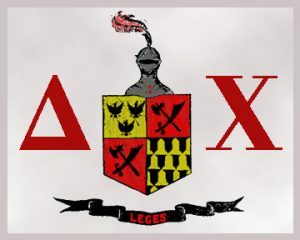 Despite this distinction, the brothers of both chapters are still brothers of Delta Chi, much as our fellow Delta Chi from any other chapter, and we still hold true to the original idealism set forth by our founders.